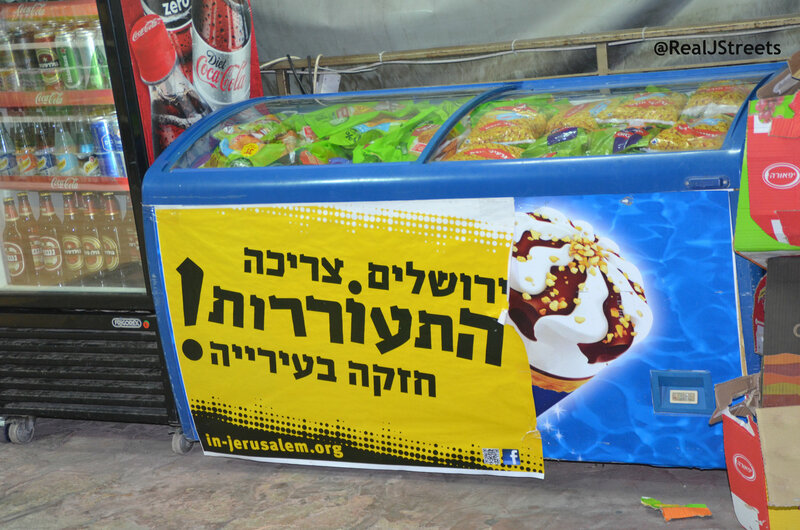 In Jerusalem, Israel, nothing is simple. 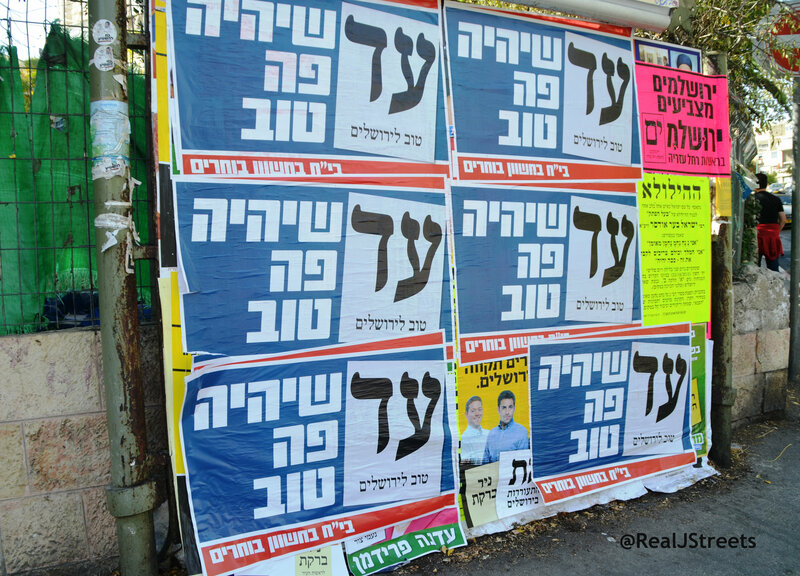 Jerusalem municipal elections are set for next week. 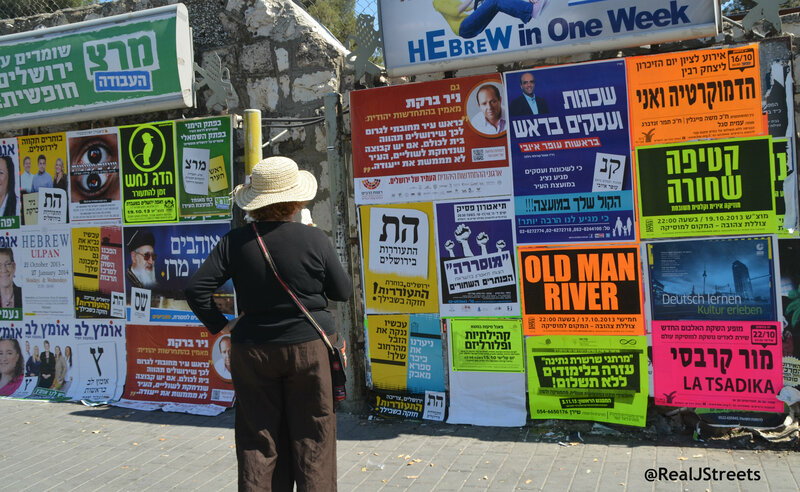 Campaign signs are plastered everywhere. 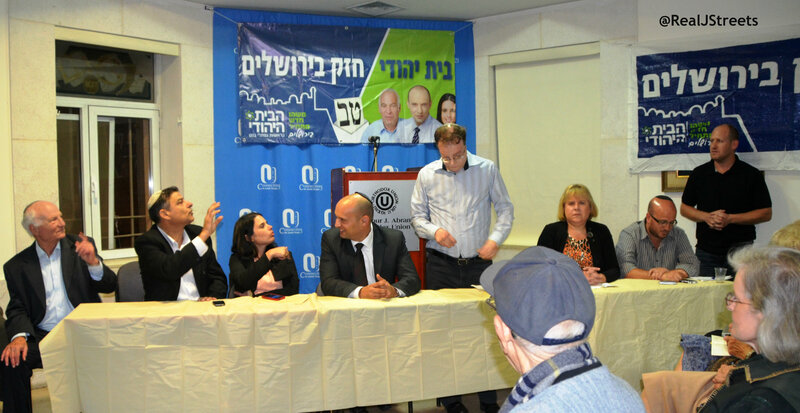 against current Mayor Nir Barkat. 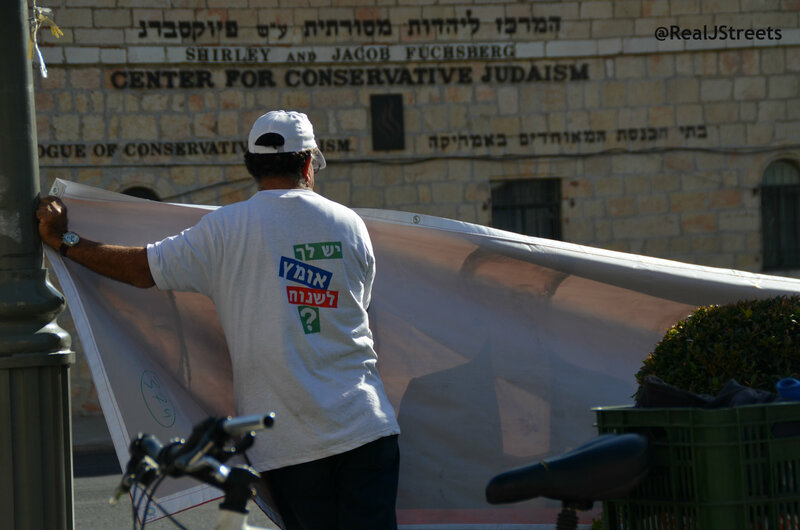 were hanging next to large Israeli flags in more than one place. The mayoral race is fairly simple with two main contenders. and that is where things get confusing. If you look up there are signs. It seems that everywhere there are signs. did not stay up for long. 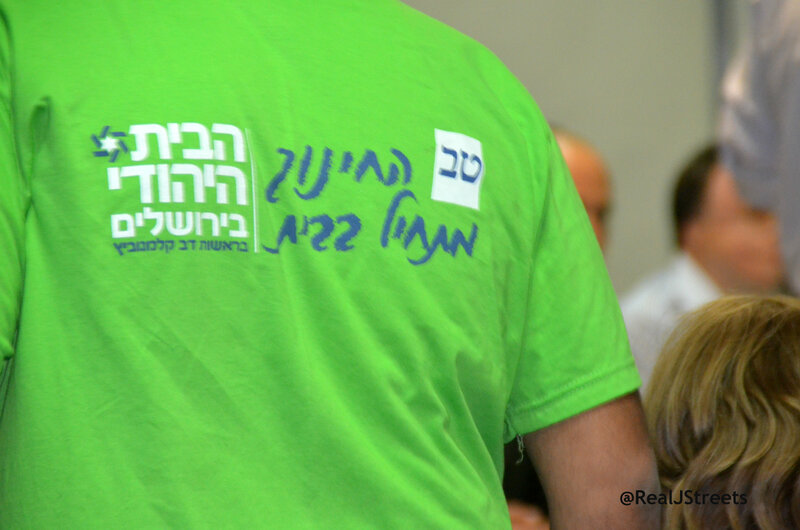 Nir Barkat workers in campaign tee shirts have been out for weeks. Now, this is where things get confusing. National political parties are also involved. 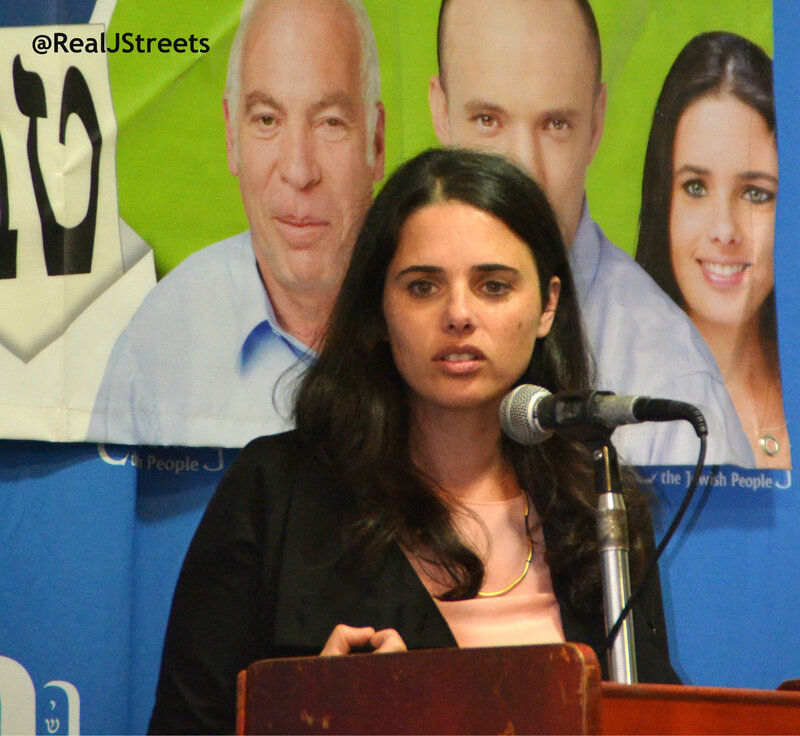 and MK Ayelet Shaked showed up in person. 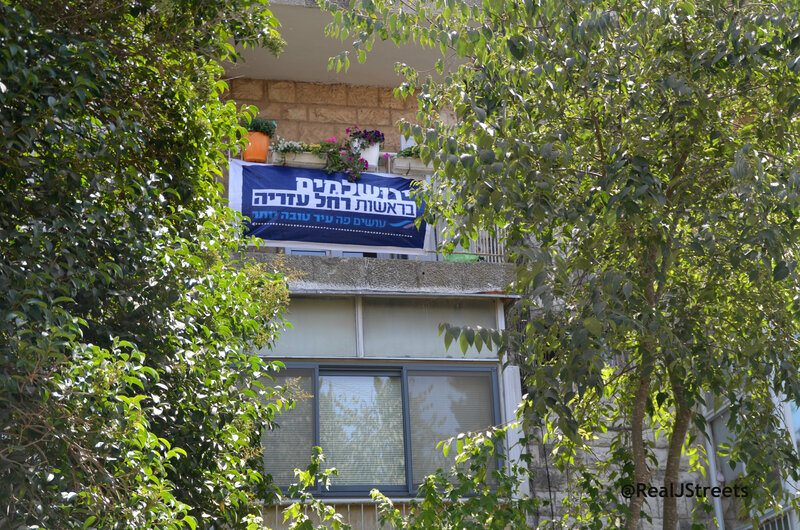 but showed support for their slate of Jerusalem candidates. There have been constant parlor meetings and information nights. there have been so many evening campaign calls. but last night there was a personal campaign call on my cell phone. I suppose these are the blessings of the democratic process. 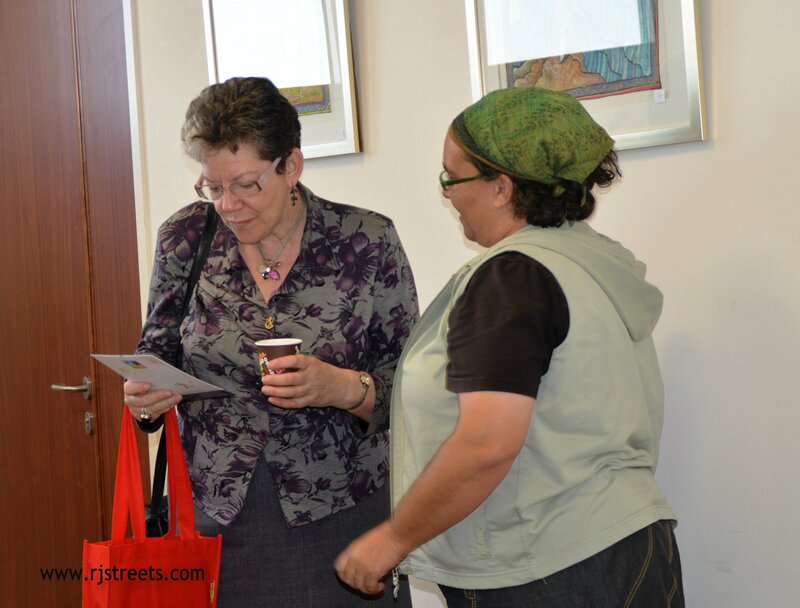 Deputy Mayor Naomi Tsur, left, started Ometz Lev, a mainly female party. some of whom are still complaining of losses because of Formula One street closings? 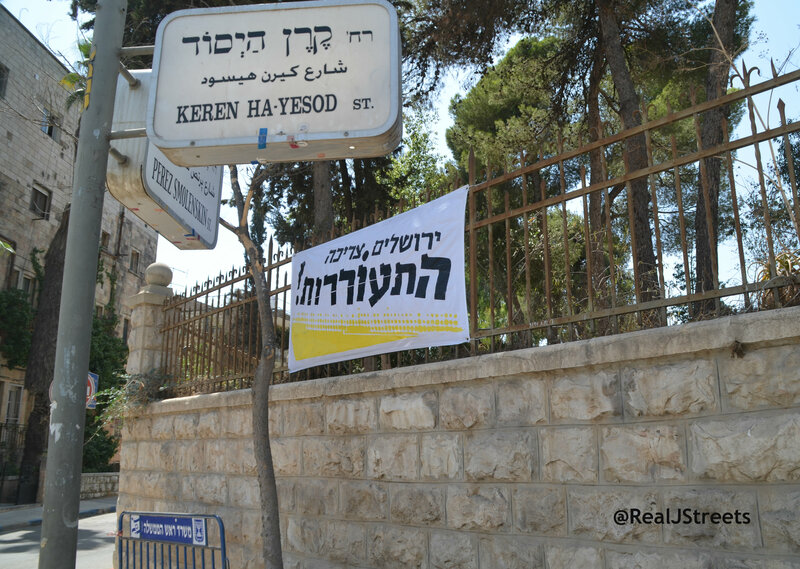 and no, it was not in a religious neighborhood. then you surely would be and bored too, if I posted them all. 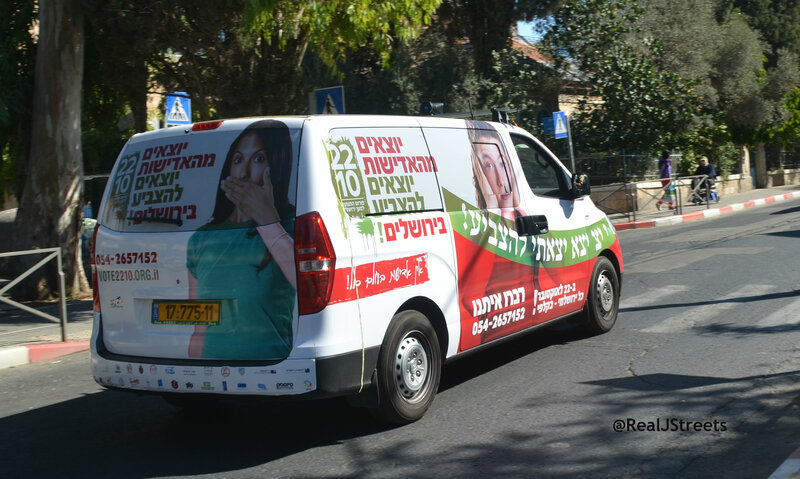 Trucks are out on Jerusalem, Israel, streets to encourage voting. have no idea who ALL the candidates are or care. and affordable housing would be nice too. their leadership as usual loses no opportunity to lose an opportunity. the one and only such list I have seen anywhere. I went back today to take a photo of the tiny print and found this. 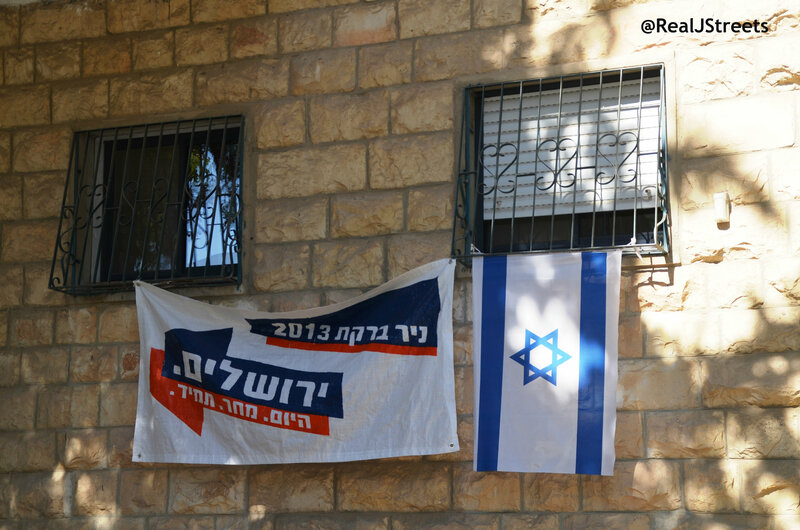 If this party will be good for Jerusalem, I do not know,. everyone is sick of the campaigns here. and also pollsters, as people will say anything to get them off the phone. almost missed an important call. then I hope to have something to say. Just wish I knew who really were the best to vote for. 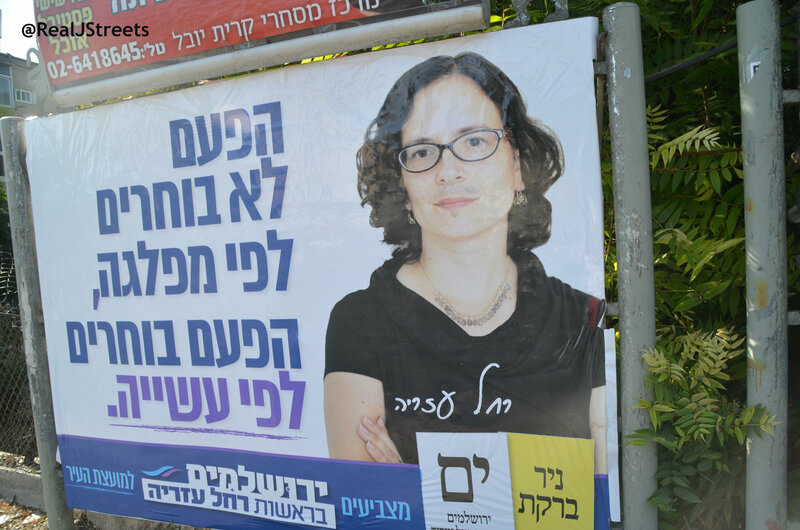 haredim are far more likely to overpaint the entire face of a female politican instead of jsut drawing a beard on it, aren’t they? What about the other small parties? What kind of article is this? I expected a full blown article on each candidate and what their agendas are for city council. 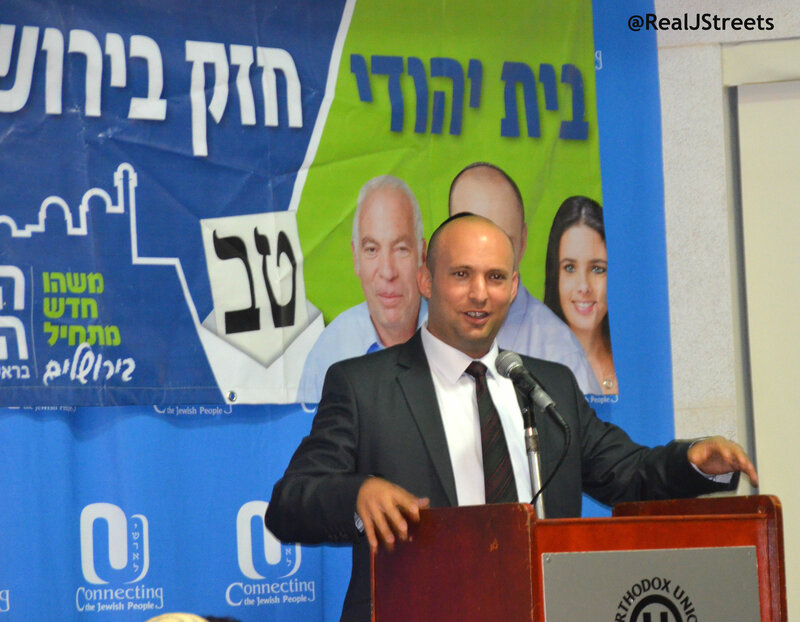 Sorry Yaakov, Chaim Epstein is a third candidate for mayor. There are 16 city council lists that are approved for elections. I still have not seen a good list of them all. No blog post could do justice to 16 lists of names. Every time I think I know who I am going to vote for, another piece of information surfaces, and I am not sure again. I think many wish that at this point with election so soon it was less confusing, no one wants to feel like such a dummy. I, too, am avoiding answering the phone unless I know who the caller is, because I’m sick and tired of being pestered by campaign calls – especially the recorded messages. And how did Shas get my cell-phone number??? Ometz Lev sounded quite sensible to me.